The capital of Arelon, the home to people transformed into magic-using demigods by the Shaod. But then the magic failed, Elantris started to rot, and its inhabitants turned into powerless wrecks. In the new capital, Kae, close enough to Elantris for everyone to be reminded of what they have lost, a princess arrives. Sarene is to be married to unite Teod and Arelon against the religious imperialists of Fjordell. But she is told that Raoden, her husband to be, is dead. Determined to carry on the fight for Teod and Arelon's freedom, Sarene clashes with the high priest Hrathen. If Hrathen can persuade the populace to convert, Fjordell will reign supreme. But there are secrets in Elantris, the dead and the ruined may yet have a role to play in this new world. Magic lives. Way back in 2010 after the tragic death of Robert Jordan, another author was brought in to finish the mighty series that is The Wheel of Time. That author was Brandon Sanderson. While Jordan's books were a heavy read for me (the amount of pages not being the problem, but his way with words - each book usually took me more than a month to read and understand), Sanderson quickly proved himself quite different. While his final 3 books in the series were just as long, if not longer, they were far easier to read. I sped through them and loved every single sentence. Then, in early 2011 by chance I came across a book by him and him alone: Warbreaker. That book introduced me to his works for real and I now list him as one of my favorites. I was and still am transfixed and awed by Sanderson's skills with words, worldbuilding, character developement and sheer imagination. Later that year I devoured the 3 Mistborn novels while on holiday, one after the other, 1707 pages in total. At some point, presumably also in 2011, I bought Elantris from a used book shop online. And then ... nothing, for quite a few years. In 2014-2016 I read Steelheart, Firefight and Calamity and while good, I was never as in love with these sci-fis as his fantasy novels. Then I read The Rithmatist when a Danish publishing house released it in early 2017. Loved it. And still Elantris just stood there. Waiting. Probably a bit worried it'd be eaten by a cat before this crazy book collector got around to reading it. This August I finally read it. And holy WOW! This story had me, hook, line and sinker from page one. 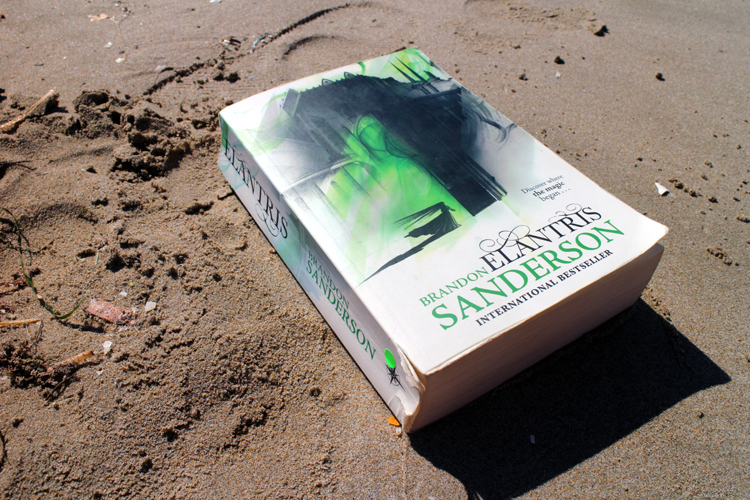 I really struggle to understand that Elantris was Sanderson's debut novel. How can someone start out this brilliant? - and then get better?!? Sanderson has once more created an imaculate and intricate world full of magic, intrique, power and mystery, and it's just... amazing. He's created a completely new way of magic/living, a history and an evolution that goes with it, a giant world set around it, each country interpreting it differently and even a whole set of religions and sub-religions. Sarene and Raoden are the heroes of the story though they aren't together for just about most the book. They are strong and clever, passionate and loyal - and they have a knack for surrounding themselves with equally good people (with exceptions of course, but that'd be spoilers ;). Another main character we follow is Hrathen - a warrior high priest sent to convert the country of Arelon. He's painted as such a bad guy right from the start, and then you almost get a whiplash effect when he starts doubting. Questioning. UGH it's just so good! Sanderson really knows his stuff around the human psyche and all the feels. All in all, it's just really well written and I could not stop reading till I reached the final page. Great book I highly recommend to all mature fantasy fans! Now, it's been more than 12 years since it was first published, but Goodreads and Sanderson's own website tells me that he plans to return to this magnificent world with another book, possibly two, within the next couple of years. I am, very, excited. To say the least. But at the same time I'm at peace, because Elantris is brilliant and it works perfectly well as a standalone. Yes, of course, you want more, but it's all good as it is. (and actually there is already a bit more, see next line). 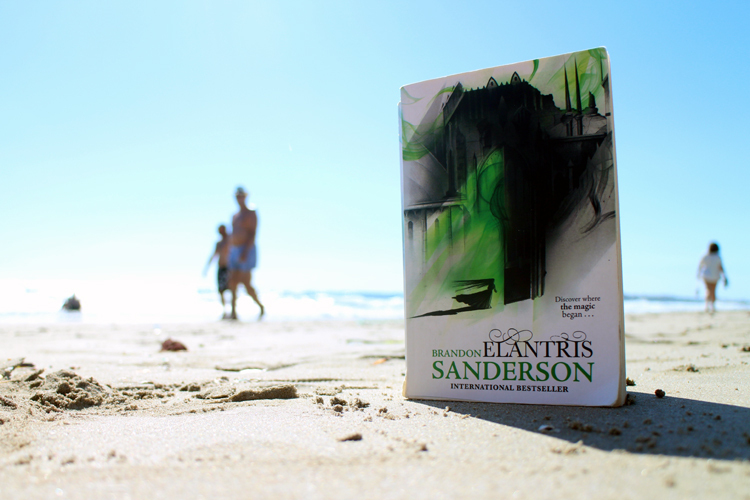 The short story The Hope of Elantris (Elantris #1.5) can be read free of charge on Sanderson's website. It is meant to be read after you’ve finished the novel and takes place during the events of the climax. It's around 25 pages long.